Join John Stergakis, Director of Information Services at SLAM Collaborative as he discusses how his company eliminated $300,000 in infrastructure costs while redesigning the Notre Dame football stadium by consolidating storage into the cloud, avoiding additional investment in their SAN storage, WAN acceleration and VDI solutions. In this webinar, Storage Switzerland and Panzura cover why you should really want to aggressively archive data, what the challenges are to an aggressive strategy and, most importantly, how to use cloud storage to overcome them. Watch this webinar to hear from Woodard & Curran’s Kenneth Danila and Microsoft’s Craig Lieboff to learn how Woodard & Curran replaced two NetApps with SnapMirror in each office plus Riverbed and MPLS by using the Azure and Panzura — saving $225,000 each year in MPLS and another $120,000 each year in NetApp and Riverbed refreshes. With unstructured data growing at 30% or more per year, organizations are finding the traditional mechanisms of storing and managing data unable to keep pace. Still, despite this, many IT organizations are choosing to stay with the same basic storage model. In this webinar, ESG examines the cost of status quo storage ecosystem and dramatically increases the total costs of ownership to the point of unsustainability compared to a Hybrid Storage model. Watch this session from the Microsoft Ignite conference where Ken Danilla, IT Director at Woodard & Curran, explains how they used a combination of Azure cloud storage and Panzura Hybrid Cloud Controllers to eliminate two NetApp NAS systems, SnapMirror, and Riverbed WAN Acceleration at 12 locations and the MPLS network that connected those locations. Join Jason Jewett, CIO of Moffatt & Nichol as he discusses how he collapsed primary storage at Moffatt & Nichol offices into AWS to enable engineers to work on the same files from different offices at the same time with the same fast performance at each office. Watch this webinar to learn how all files at Moffatt & Nichol felt local to users regardless where the users were located. David Neumann, Director of Technology from GRAEF-USA, was tired of being on the “Storage Treadmill”. GRAEF had exponential data growth and the need to refresh their EMC VNX every three years plus backup and tape. 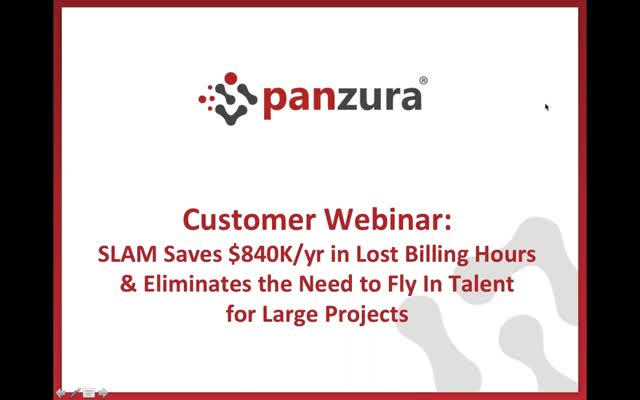 Watch this webinar to see how GRAEF replaced EMC VNX systems, backup, tape, and WAN optimization using AWS S3 and Panzura Hybrid Cloud Controllers. Learn how Milwaukee Tool moved all of its unstructured data off NetApp into AWS cloud storage using Panzura, reducing costs by over $40,000 per shelf in the process and freeing up space on NetApp for additional applications. In the process, Milwaukee Tool also reduced video file open times for its global offices from hours to just seconds while ensuring file integrity. Join Guest speaker Henry Baltazar, Senior Analyst at Forrester Research, Eric Quinn, IT Director at C&S Companies, and Rich Weber, Chief Product Officer at Panzura, as they discuss the key requirements for Next Generation Global File Storage. See how Panzura can help you collaborate like your distributed teams are all in one office. Consolidating over two petabytes of primary enterprise storage into the cloud per month, Panzura is the market leader in enterprise hybrid cloud storage. Panzura’s hybrid cloud storage software seamlessly combines the economics, capacity, and business model of cloud storage with the flexibility, performance and features of enterprise storage. Using Panzura, enterprises shift from an antiquated storage status quo model into the cloud and unlock the power of data. Organizations like the Department of Justice, Electronic Arts, Milwaukee Tool, and National Instruments use Panzura for Hybrid Cloud Storage use cases such as cloud-integrated NAS, global software distribution, high value asset distribution, cross-site collaboration, and active archive.